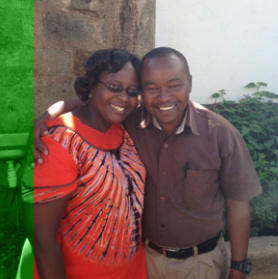 Andrew and Agnes Mukumbu live in Ruiru, Kenya. When they first moved to Kenya, their hearts were moved by the plight of the children who stayed mainly on the street there. They started teaching children and providing meals. Then, the Lord gave the resources for them to start a home and a school for the children. Today, the Bethel Children's Centre is a home for fifty-four children. Today, the school has 350 students, approximately 100 of which are orphans. The children reached by their ministry are being impacted by the Gospel. They have learned their worth to God, and seek to serve His purpose in their lives. What a wonderful testimony of the powerful and redeeming work of the Lord.